Dawn is a member of the IFEAL Qualifications Faculty and fulfils the roles of tutor, mentor and assessor. Dawn is also the owner and founder of Heartshore Stables. She has lived and worked with horses all her life. Dawns’ background is in education as a secondary school teacher. Dawn’s life long experience of horses has led her to establish an innovative and exciting way of teaching and she is passionate about the well being of horses, and the relationships between people and horses. Her varied experience includes having worked as Yard Manager and Co-ordinator for young adults with learning difficulties from Ruskin Mill at Barton End Stables, Glos. and also working for Adam Goodfellow, author of ‘Whispering Back’, and owner of an ‘Intelligent Horsemanship’ yard near Cirencester, Gloucestershire. 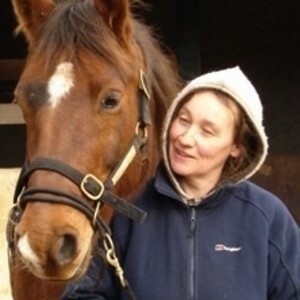 Following completion of the Intelligent Horsemanship foundation course in 2002 Dawn set up Heartshore Stables. She developed her own approach to teaching children and adults how to build a relationship with and ride horses. She also set up a livery yard where horses were kept in keeping with the principles of natural horsemanship, challenging many traditional myths about how horses should be cared for. Increasingly Dawn works with children with autism and their families and also children with behavioural and learning difficulties. She is a qualified facilitator in Equine Facilitated Human Development with IFEAL.